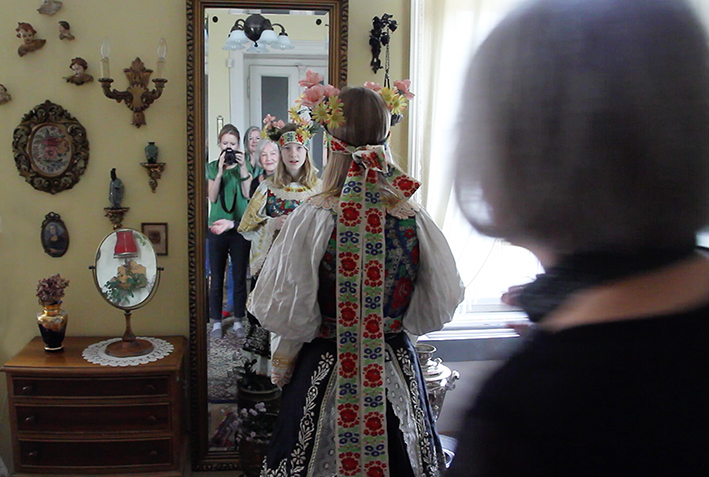 Time-based project exploring the unique and often complex interconnections between four generations of women within Stehliková’s own family, and consist of a series of short films, made annually since 2011. Each film stages a small family ritual, sometimes combined with documentary style dialogue, exploring the bonds between the women while also touching on the hidden issues and concerns of the family’s past. Stehliková’s approach is informed by her research into the communication of embodiment in the moving image, while using multi-sensory aesthetics. The films have been shown in film festivals, and independent screenings and exhibitions both in the UK but also internationally. See below for more details. Stehlikova, T. Touch Dark Matter. Stehlikova, T. Blue Hour . Stehlikova, T. 2018. Ophelia's Last Supper. Stehlikova, T. 2016. TRIESTE: In-between states.